So take a ride with acclaimed author and teacher Scott Jernigan as he guides you through the world of computers in Computer Literacy – Your Ticket to IC3 Certification (GS3) 2nd Ed. This course is engaging and easy to follow. The use of humor and graphics to keep the readers attention was very well done. It would be stretch for this reviewer to find something in this course I didn’t like. A great introduction to today’s “wired world”. After completing this course, beginners will feel confident and informed. The author’s personality was shown throughout the course. I found the humor to be insightful and witty. The real world examples and callouts used in this course contain important supporting concepts that add to the readers experience. The content reads easily. 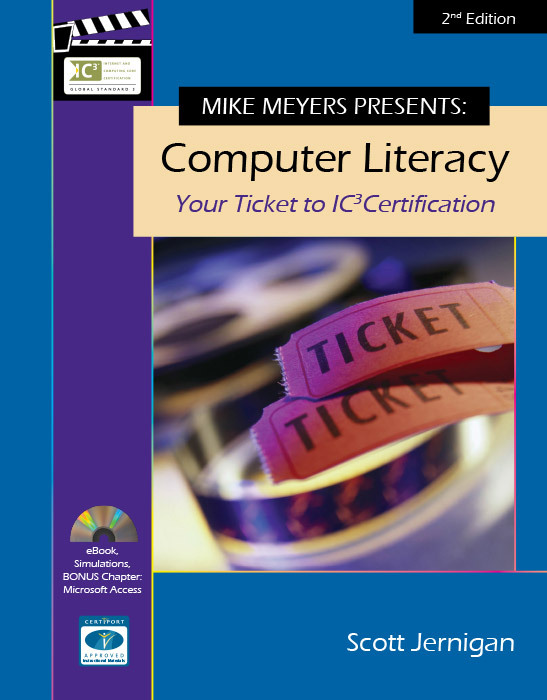 So take a ride with acclaimed author and teacher Scott Jernigan as he guides you through the world of computers in Computer Literacy – Your Ticket to IC3 Certification (GS3 ) 2nd Ed. You’ll learn how personal computers work, including the hardware components—such as hard drives, RAM, monitors, and so on—and the operating systems, from Windows to Macintosh. Scott teaches you how to use the most important Vista Office 2007 based productivity applications, such as word processing, spreadsheet, and presentation software. You’ll also learn essentials about how to use the Internet and e-mail effectively and how to work with networks in general. Scott puts tips and mini-exercises throughout the book and ends each chapter by summarizing the chapter’s most important points and quizzing the students on key terms presented in the chapter. 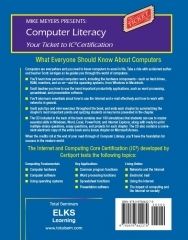 The CD included with the book contains simulations that students can use to master essential skills in Windows, Word, Excel, PowerPoint, and Internet Explorer; along with ready-to-print multiple-choice questions, essay questions, and projects for each chapter. The CD also contains a convenient electronic copy of the entire book. 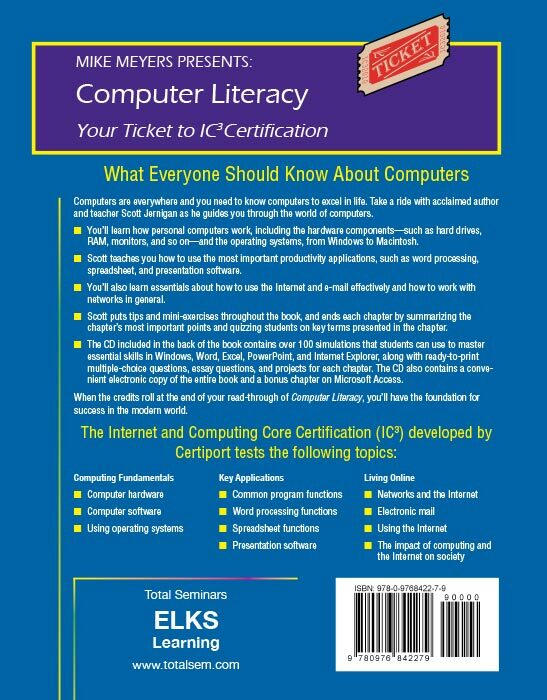 When the credits roll at the end of your read-through of Computer Literacy, you’ll have the foundations for success in the modern world.